You might be hesitant about using a new shop for your computer service needs, so I thought I would briefly describe my experience with Alfa Computer. 1. 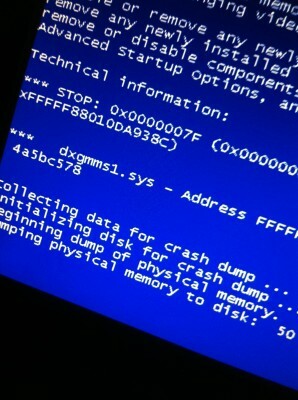 When my laptop started to repeatedly share the blue screen of death – I brought it to Alfa Computer. As messed up as it was, I was astonished that it came back with all my programs and software running perfectly. 2. I needed a server for my web design company Stellar Web Studios and Tan had exactly what I was looking for. He set up my office network and the price for the machine and service was definitely reasonable. 3. When I needed my charger replaced (and various other accessories- hard drives, keyboards, a new mouse) Alfa Computer came through quickly and perfectly, time and again. 4. When one of our machines at the office started to go, Alfa Computer took the time to assess it and attempt a repair. Later, when the computer started to act up again, they helped me find a replacement AND installed a brand new Windows operating system – at a great price. 5. Beyond all the regular stuff I’ve needed – I’ve found that Alfa Computer is a company that I can trust, and really goes above and beyond to take care of their customer. Hi, I have a Dell Dimension 3000. I bought a 320GB Harddrive and 2, 1GB RAM chips from Dell and was told from them that the computer will wrok up to that Harddrive and RAM. But I put in the new things and the computer will not work. All it does is say press F1 to contunine, or press F2 to go into the setup screen. I was wondering if there is away to get help in making the computer work. Dell will not help me at all. I think Dell sent you a new hard drive without the operating system software, you will need to install Windows for it to work. If you old hard drive is still good, you can also clone it with Norton Ghost or Acronis software. If you need further help, please do not hesitate to contact us either through our website or call us at 781-932-9801. Hi there I found your page by mistake when i searched Live search for this topic, I must point out your site is actually very helpful I also seriously like the style, it is great! Located your web site through Reddit. You know I am subscribing to your feed. I am a computer technician too.But honestly, I haven’t experienced yet like this..Thank you very much for sharing this to us..